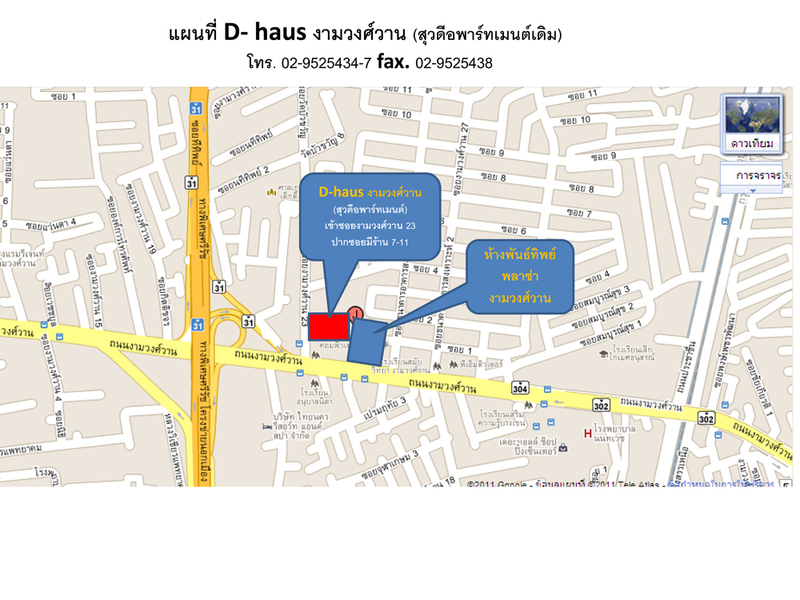 Convenient, clean and safe, d-haus Ngamwongwan apartment is located just 50 metres from Ngamwongwan road and next to Pantip Plaza Ngamwongwan. Every room is furnished with double doors and non air-conditioning and air-conditioning rooms are provided at your choice. Hot water is available in corner units and on 8th Floor. Our safety systems include CCTV, Key card access and 24-hour security guards. No A/C Room 21 sq.m. A/C Standard Room 21 sq.m. A/C Corner Room 27 sq.m.